I had to share with you my dining experience at Bistro 31. 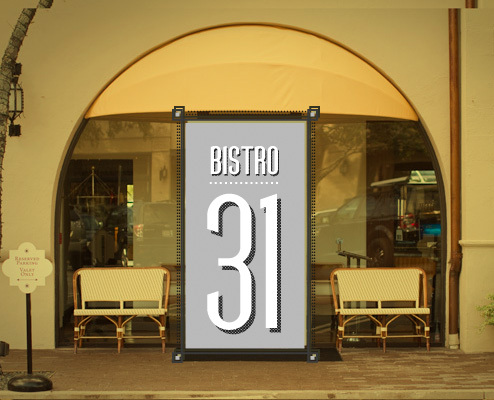 Bistro 31 is a new European inspired restaurant that opened its doors in October in Highland Park Village. I met a high school friend there on a Tuesday night at 7:45pm. To my surprise, every table was full. Our wait was only 15 minutes and definitely worth it. Let me begin by saying this restaurant is decorated beautifully. We loved the ambience so much that we stayed there until closing! They sat us in these wingback chairs that were so unbelievably comfortable that I wanted to take them home with me! Anyways, onto the food. For an appetizer we started off with the foie gras. For those of you that do not know what foie gras is, it is the fatty part of the liver from a duck or goose. I know it sounds gross, but it is heavenly when prepared the right way. I especially enjoyed Bistro 31's foie gras as they served it with roasted figs and pistachios. It was the perfect blend of sweet and savoury. For entrees, my friend and I shared the seared diver scallops and brioche crusted lemon sole. Both dishes were delicious but if I had to choose my favorite, the scallops were phenomenal. I am always hesitant to order scallops at restaurants because the portions are always so small. This restaurant served four plump scallops over yukon potato mousseline aka mashed potatoes. This combination hit the spot and the scallops were seared to perfection. This restaurant is a great addition to the Dallas dining scene and is definitely worth trying. Dining in Dallas is for everyone who enjoys food, fun and lively conversation. The only thing hotter than the weather in Dallas is its restaurants. These restaurants offer you reasons to keep coming back. Thanks a lot.